McAfee is now an independent company, with TPG Capital management at the helm. Intel will continue to deliver guidance to McAfee with a 49 percent stake in the security company. “The new McAfee will be more nimble and more agile for us to easily adapt to the new dynamic security landscape. 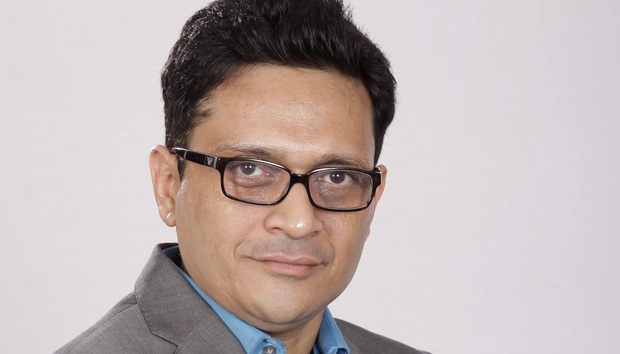 It is a great outcome for our channel partners and end customers to solve the new challenges with our solutions,” said Jagdish Mahapatra, Chief of Channel & Alliances - APAC, McAfee in an exclusive interaction with ChannelWorld. It is really an exciting time at McAfee, said Mahapatra. The maturity index of traditional channel partners traversing the services route in the security space is increasing. “The appetite for services is quite mature in countries like Australia and Singapore as the customers see that value and hence our channel partners too view it as a positive business cycle. The customers are seeking delivery of business outcomes than just technology and that’s driving and perhaps changing our partners’ behavior," he said. Does the value proportion and company outlook for channels change under new McAfee? Not much, replied Mahapatra. “Five years ago, when I joined McAfee (part of Intel Security), the total security services market globally was 20 percent and the rest was product sales. Today, the services portion has swelled up to 60 percent, which indicates that partners have upgraded their skillsets and capability to provide services to end customers,” he added. McAfee’s platform architecture and product roadmap is right for channels to supplement services to the equation, said Mahapatra. “The whole services and cloud play will almost go together. More organizations will ask partners to take off or move the on premise deployment and deliver those services from the cloud,” he added. Another big change made by McAfee for channels is to have domain specialization in early 2017. “We made it mandatory for channels to choose their areas of expertise in the security world. The key solutions include emerging dynamic end points that include migration from the device to cloud on one platform. And protecting the data as customers move to hybrid. That’s where DLP comes to the fore,” he elaborated. McAfee’s platinum partners have to pick at least three specialization areas out of four as they move into the services play. McAfee is incentivizing partners for migrating their end point customers to the Dynamic endpoint threat defense. "We have a large installed base of legacy end points over the years," he said. McAfee is also looking to broaden the tier-2 partner play in the market. “I feel the distribution assets of vendor companies have been treated more as a conduit to partners. McAfee is tailoring partner programs with distributors across APAC and India. This is being done to provide benefits to partners by adding value to their security stack of products, solutions and services," said Mahapatra. "The ecosystem piece with McAfee Data Exchange Layer (DXL) is an important element as we explore newer markets with partners like Checkpoint, NCR, among others. Digital India, Smart city and other initiatives will also add to the future stream of revenues in countries like India," he said. McAfee will continue to invest in professional services for channels to make more money in this business. “But channels need to introspect their skillsets and what they need to stay relevant in the business. Many of our channels will be challenged on the next level of security along the customer’s journey over the next five years,” cautioned Mahapatra. The channel play change across various forms of security – hardware appliances, software and virtual services will change, he explained. “We have all our offerings as a cloud version and as virtual solutions, as we recognize the fact that most businesses are getting software defined. Intrusion Prevention System (IPS) has been a high performance product, which we made virtual to deploy it on AWS and we maintained its performance as it was in the on premise model,” he said. Enterprises will move more towards virtual, as hardware box has its limitations with increasing workloads and business demands. “SMBs too will adopt cloud in the future. Security will get more consumed in the cloud in the next couple of years and hence, we are betting on it. McAfee EPO can be put on the cloud and dynamic endpoints, we can be on premise as well as on the cloud,” said Mahapatra. "We are working with various communities of partners including McAfee partners as the cloud is a different and new revenue model for our existing channels," he added. With McAfee’s cloud focus, would McAfee align with ‘born in the cloud’ partners and channel of AWS, Google? “We have worked with the existing and loyal channels over the years, we want to grow their business in the digital journey as they transform themselves. With our new portfolio and business models, these partners are our first choice as they leverage cloud,” he said. "Our existing platinum partners should travel further with us as they can scale their services business across various solutions. But we are also open to engaging with 'born in the cloud’ partners and channel partners of other cloud provider companies if they fit our vision,” he added. Channels can be the security architect for their customers, he said. “Our partners can play a big role in crafting the architect story for organizations, by either delivering directly, or on the cloud, or from vendor services. Being in control of customer’s security architecture is the biggest evolution for channels,” said Jagdish Mahapatra at McAfee.